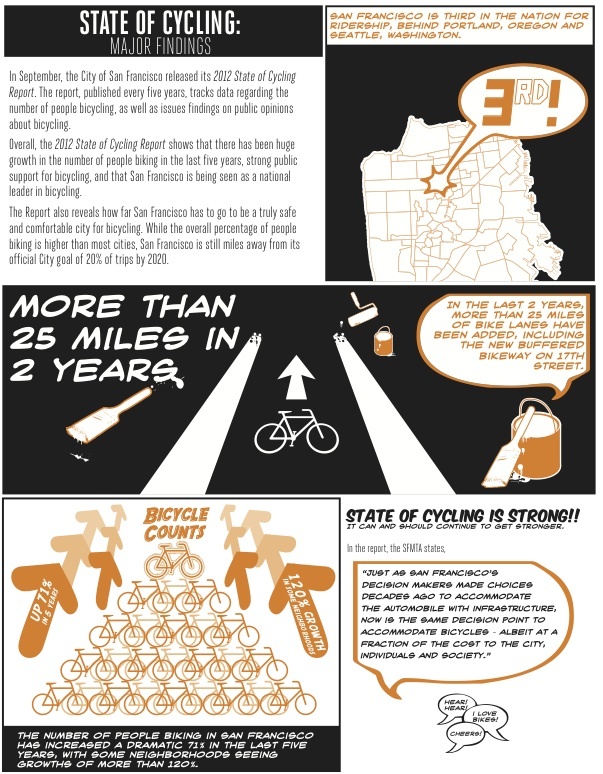 In the Fall 2012 issue of the Tube Times, I created this infographic from data collected by the City and County of San Francisco. 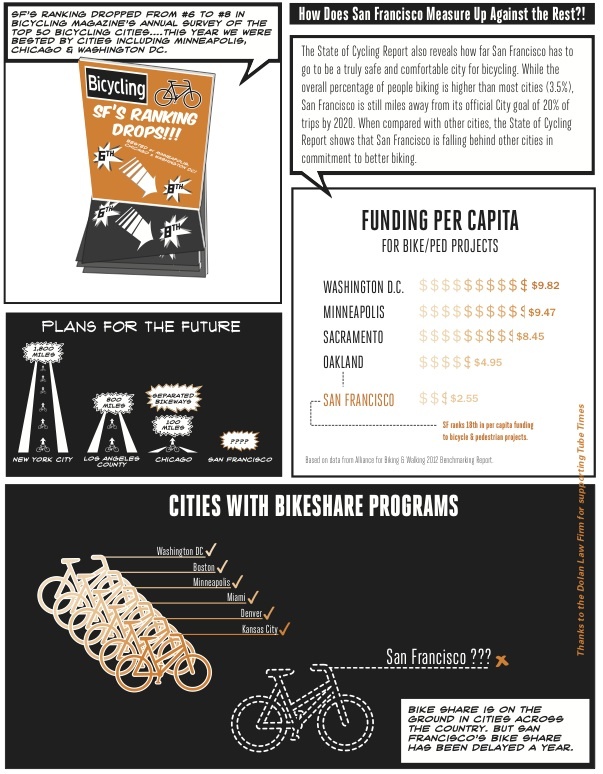 The graphics followed the theme of the issue, “The Power of Pilot Projects”, which took on a comic book design. The images shown here were a full page spread in the magazine.